The eastern brook trout, whose native haunts in the Appalachians are a short drive from my home in Washington, is a fragile species. It requires the coldest and cleanest water to survive, and over the past two centuries, its ranks have been decimated by all that modern society could throw at it. Today it lives in a fraction of its historic range. One reason? 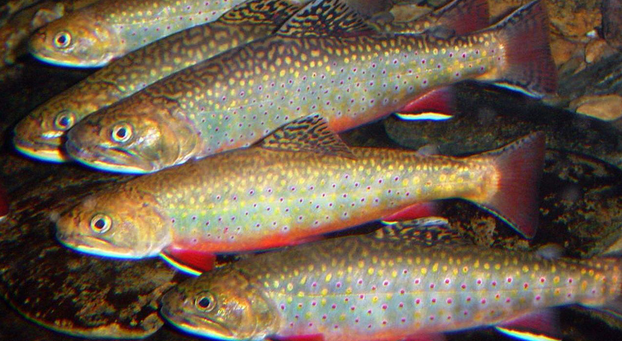 Thousands of miles of prime brook trout streams have been polluted by poorly regulated historic coal mining, and what has been lost is difficult to bring back. Groups like Trout Unlimited have worked with partners to restore more than 60 miles of wild trout streams damaged by acid mine drainage in Appalachia. But it is hard, painstaking work — it has taken the better part of two decades and millions of dollars, and the fact is that it would take many lifetimes to revive all the streams in need of resuscitation. I had that sobering math in mind last week when I learned that Congress had voted to overturn the Stream Protection Rule, designed to protect streams from the devastating effects of mountaintop removal mining. This tactic is every bit as destructive as it sounds. It involves scraping off the tops of mountains, removing the coal and then dumping the waste in valleys and the creeks that pass through them. Over the past 20 years, these mining operations have buried or degraded nearly 2,000 miles of streams in Appalachia. It goes without saying that cutting the tops off mountains and dumping them in streams is bad for fishing. It is also bad for anyone who cares about clean water.